Great for entertaining, indoor or outdoor fun and parties! These melacore red, white and green Coca-Cola serving bowls are made of unbreakable and durable plastic with a fun Coca-Cola retro logo. 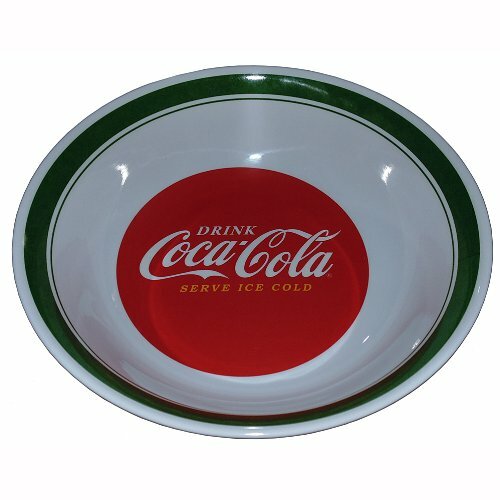 Each round Coke serving bowl is 10" with Drink Coca-Cola Fountain Service logo. Perfect for serving your favorite treats from salads to veggies, popcorn to snacks! Top rack dishwasher safe. Not recommended for microwave or oven use.